What is special about our Junior Kindergarten program? We offer a well rounded program with a emphasis on hands on learning and outdoor exploration. In addition to working towards school readiness the children enjoy many opportunities to explore and connect with nature in addition to developing their gross motor skills through physical literacy activities and free play. We have two teachers with a max class size of 16-18. Our program focuses on the five developmental domains for the early years. The program cost $200 per month. 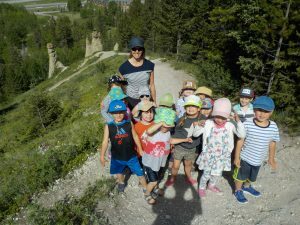 After school care in our Marmot program is an additional $220 per month for two afternoons 3-6pm, subject to availability. Marmot camps also run during school holidays. Children must be 4 years old by December 31st to be eligible for the program. My child is already in the Grizzly room at the daycare. Should they attend JK too? 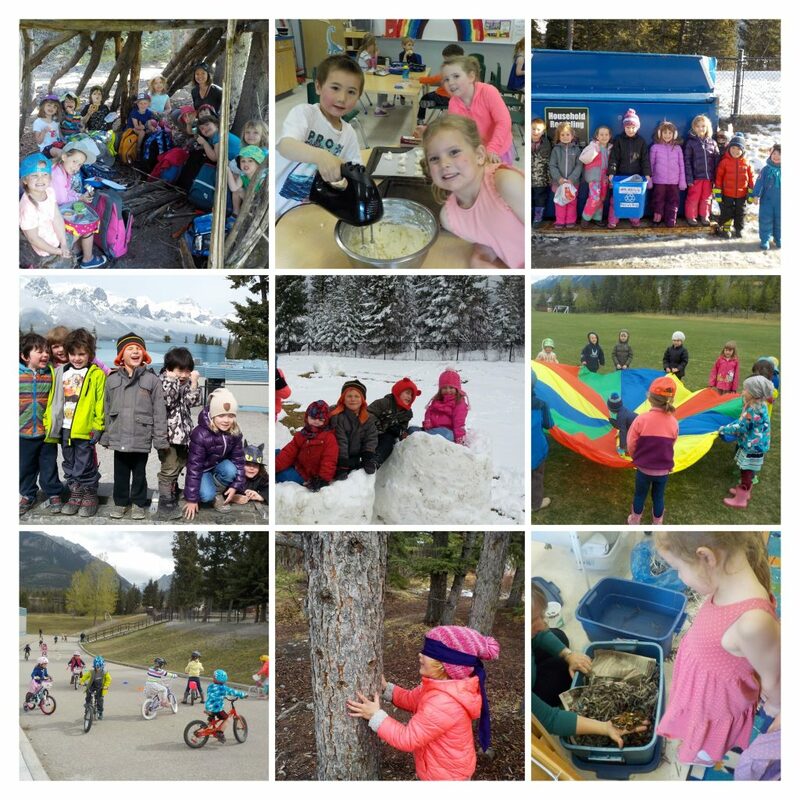 All programs run by Canmore Community Daycare are accredited which means we meet and exceed government standards of excellence ‘that reflect current research and leading practices to provide high quality child care over and above licensing regulations‘. We believe we offer a high level of program in all our classrooms, including our Grizzly (4-5 year old) room. However some children benefit from a change of environment, especially if they have been attending Daycare for a number of years. JK runs out of Elizabeth Rummel School so it is a great transition year giving children the opportunity to become familiar with a school environment. Some children love being at school with the big kids! Enrollment is on a first come first serve basis, your child must be four years of age by December 31st. Please complete a Pre-Registration Form with a $50 non refundable registration fee and return to the Roundhouse 606b-7th Avenue.